The year is almost over and we are currently in one of the most important months of the year. The month of November, as we all know, is a month that we need to be thankful for what we have such as family, health, and amazing skin! November is National Healthy Skin Month and it is aimed to raise the awareness of having and maintaining healthy skin, the largest organ of your body. Everyone at Dermatology and Aesthetic Center of El Paso wants to help educate the public about how they can decrease their risk of skin cancer, by protecting their skin from the damaging ultraviolet rays of the sun and other environmental stressors. Always wear your sunscreen, 365/24/7. Broad band coverage with SPF 30, reapplied every 2-3 hours. Have a healthy diet, especially from the benefits of fruits and vegetables. Use A lip balm with sun protection factor, SPF. Manage your Stress. This can decrease symptoms of itch and pain. Drink plenty of water, preferably 60 ounces per day or more. Moisturize your skin to maintain its function as a barrier. Get sleep! Eight hours is optimum. Try to keep a set wake/sleep schedule regularly. We cannot take our skin for granted. It’s a barrier to protect our body and nourish our vital organs. These tips are easy to follow and the results will amaze you. At Dermatology & Aesthetic Center of El Paso we can review your skin, help diagnose and treat skin issues that are acute or chronic, and help you have amazing healthy skin. Check out our specials this month!! Radiation exists across a spectrum from very high-energy (high-frequency) radiation – like x-rays and gamma rays – to very low-energy (low-frequency) radiation – like radio waves. UV rays have more energy than visible light, but not as much as x-rays. Higher energy UV rays often have enough energy to remove an electron from (ionize) an atom or molecule, making them a form of ionizing radiation. Ionizing radiation can damage DNA in the cells in our body, which in turn may lead to cancer. But because UV rays don’t have enough energy to penetrate deeply into the body, their main effect is on the skin. Protect your skin with clothing and wear a hat to protect your head, face, and neck. Wear sunglasses that block UV to protect your eyes and the skin around them. Use sunscreen to help protect skin that isn’t covered with clothing. By learning the risks associated with too much sun exposure and taking the right precautions to protect you and your family from UV rays, everyone can enjoy the sun and outdoors safely. 10% OFF on all sunscreens when you visit us! Today, More than 70% of patients are bothered by lines and wrinkles around the eyes and skin texture and/or discoloration, and over 60% of patients are bothered by wrinkles near the cheeks and mouth, lines and wrinkles between the eyebrows, forehead and neck/chest. Microneedling RF helps you tailor dermal remodeling treatments to address today’s most common concerns including fine lines and wrinkles, scarring, photoaging and striae distensae across all skin types. Microneedling RF’s microneedles smoothly penetrate the skin, delivering energy at various depths in the epidermis and dermis to induce collagen regeneration while sparing the skin’s surface. Get 25% OFF our newest Microneedling treatment (Secret RF) package of four. Dads are most ordinary men turned by love into heroes, adventurers, storytellers, and singers of song. This Father day, gift your hero a gift that will make him feel improved and taken care of. More and more men are looking for treatments to feel younger and also to make their daily routines a little bit quicker. Shaving on a daily basis before heading out the door and still ending up with the “5 o’clock shadow” can be frustrating. Let’s not be predictable and buy them an expensive razor… no! Laser Hair Removal will be the answer they’ve been looking for. No more ingrown hairs on the beard, neck, or any other place. 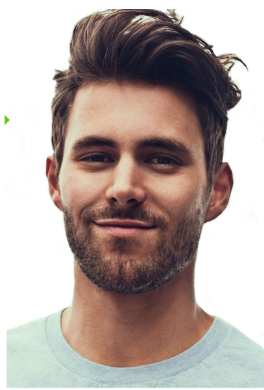 No need for your hero to deal with razor cuts; laser hair removal is a painless procedure. They’ll save time because they will no longer have to pluck or shave on a daily basis. They will no longer have to worry about ingrown hairs! 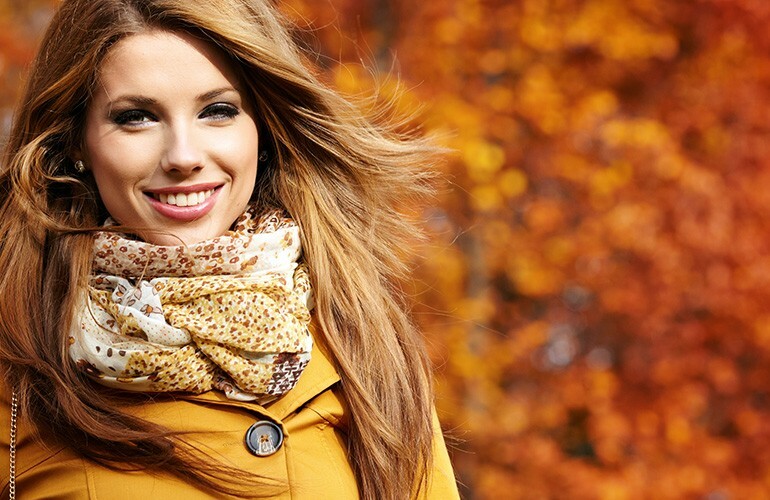 At Dermatology & Aesthetic Center of El Paso, we provide comprehensive and complete hair care. One of the treatments we offer is one that is showing unlimited potential and needs no surgery. We are offering Platelet-rich plasma. No down-time procedure and takes about 20-30 minutes. Our VelaShape III technology delivers high energy RF precisely & safely, to achieve significant circumferential reduction in abdomen, buttocks & thighs. Worry no more about those dreaded love handles, or unwanted cellulite spots on your arms, stomach, thighs, or buttocks anymore. VelaShape III is safe, painless approach to target area-specific problems and can be used to effectively address a number of common problem areas for both men and women alike. There are a lot of reasons for possibly wanting to have your tattoo removed. While the tattoo might have been meant to last forever, you don’t have to live with a tattoo that you’d rather put in the past. At Rejuvené MD , we utilize state of the art laser tattoo removal to safely and effectively erase unwanted tattoos from your face and body. Eyebrow tattoos, face and body art are all suitable areas for tattoo removal. 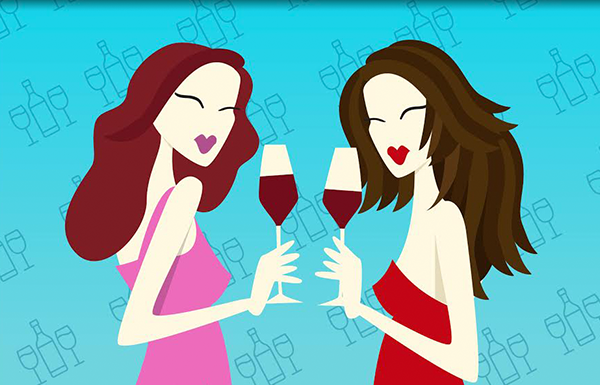 Join us this Wednesday, May 9th, 2018 from 5 pm to 8:30 pm for our “Getting rid of lines while enjoying wines” event at our west side location. Bring your mother, daughter or friends. Fillers up to 1/2 off. Free Xeomin with Infamous O-shot. Xeomin has been used successfully in other countries since 2005. Like Botox and Dysport, Xeomin is designed to treat brow wrinkles, crow’s feet, bunny lines, and frown lines. The active ingredient, botulinum toxin, is exactly the same as in Botox and Dysport. Patients whose cosmetic results with Botox or Dysport are unsatisfactory may have more success with Xeomin. If you have frown or forehead lines, crow’s feet, smile lines around your eyes, or all of these, Xeomin injections will make you appear more relaxed and less tired. If you received Botox or Dysport and found that your improvement is less than expected, didn’t last as long as it should, or has decreased for a given dosage, you may respond better to Xeomin. Free laser treatments with packages. Total Skin Rejuvenation… Revitalize your skin in less than an hour! Laser technology have dramatically changed the field of cosmetic enhancement. Lasers are sometimes used to remove viral warts by vaporization (CO2 laser) or destruction of the dermal blood vessels (PDL) but the evidence would suggest that this is no more effective than standard wart paints or even waiting for spontaneous clearance. The CO2 laser can be used to remove a variety of skin lesions including seborrhoeic keratoses and skin cancers by vaporization or in cutting mode. However, conventional surgery or electrosurgery can also be used and is generally less expensive. 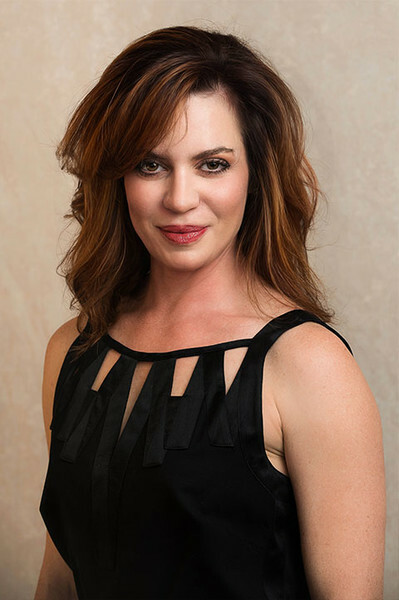 Meet new aesthetician, Laura, and get free 15 minute consultation. There’s a common misconception that Botox® in the United States is the same as Botox® in other countries, but that isn’t necessarily true. While international brands of Botox® or neurotransmitters may have the same goal as the domestic brands, they may be different from Allergan produced Botox® made in the United States in numerous consequential ways. It may seem more fiscally wise initially to opt for a cheaper brand of Botox® sourced from outside the United States—but what are the consequences? Usually, lower quality. These different brands of Botox®, especially the knockoff brands, may not have the same results as U.S. brands. So though you may think you are saving money, you may be receiving a counter-produced medicine and may not receive the results you were hoping for. One thing that makes American made Botox® safe to use is that it is FDA approved. The FDA strategically and thoroughly examines products before they are released on the market. They note side effects, possible risks—such as if you’re pregnant or expecting to become pregnant during the time of use—and who should and shouldn’t receive the treatment. The FDA also requires labels to show ingredients. When opting for neurotransmitters like Botox® purchased from international markets, you might not know the risks, side effects, eligibility, and ingredients of the product, putting you and your health at risk. Because many other countries have fewer and more lenient regulations on Botox®, many suspicious and potentially harmful ingredients can be used, putting you at risk for rashes, infections, and even permanent disfigurement. It’s easy to think these risks are dramatized and that the chances of them happening to you are low, but this isn’t necessarily true. For example, two women who live in England underwent procedures done by someone posing as a doctor who used fake Botox® on them, and the end results were far from what they had hoped. Both women had severe reactions to the solution and their faces swelled up and aged considerably. One woman remarked that she looked much older than before while another said her new face looked like a hamster. One also had trouble eating, smiling, and changing her expression afterward. If you choose to get Botox®, it’s important to go with a doctor you can trust who is using American made Botox® that follows safety regulations. Another thing that can differ between American made Botox® and international brands is that doctors in the United States using foreign brands may actually be breaking the law. This is because the Botox® could have a) been obtained illegally, b) not been approved by the FDA resulting in harmful side effects, and c) been a knockoff brand resulting in the significant errors of the previous examples. tox®, but much of the stigma comes from either false notion or the results of a faulty Botox® brand. If you’re interested in using Botox®, you want to go to a doctor you can trust who uses brands that you can count on. At Dermatology & Aesthetic Center of El Paso, we use trustworthy brands with the holographic seal that is sent directly from the Allergan company who makes the Botox® neurotransmitter in the United States of America. You will receive the care, products, and treatments you deserve. Call today! Every year, we anticipate the latest and greatest in technology; from new cellphones to the biggest blockbuster movies, we spent much of 2017 anticipating 2018—but what about the latest and greatest in skin care? 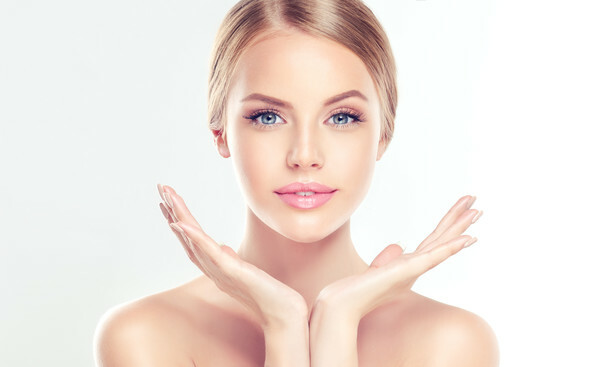 At Dermatology & Aesthetic Center of El Paso, we specialize in cosmetic dermatology that can help you get the beautiful, youthful skin you desire. In fact, there are many ways we can help you look and feel great. WHY DO I NEED SKIN REJUVENATION? Our skin protects us from the elements, so it’s our duty to pay it back with its own protection. Every day, your skin is hit with sun exposure—especially here in the Sun City—stressors, pollution, and cigarette smoke (if you or someone close to you smokes), all of which can cause your skin to become oily, your pores to clog, and your skin to age prematurely. This is where skin rejuvenation comes in. HOW CAN SKIN REJUVENATION HELP ME? Skin rejuvenation doesn’t refer to just one treatment. There are actually multiple forms of rejuvenation treatments that you can choose based on your preferences, the condition of your skin, and what your desired results are. Skin rejuvenation treatments can help with spider veins, redness, and other skin issues that can cause your skin to not look or feel its best. One of the best skin rejuvenation options is the Fotofacial RF Intense Pulsed Light Treatment. WHAT IS THE FOTOFACIAL RF INTENSE PULSED LIGHT TREATMENT? The light frequency from the Fotofacial RF IPL Treatment is designed to basically get rid of the molecular bond found in damaged skin. Beneath this is newer, smoother, and more youthful-looking skin. This treatment works to revitalize your skin, improving its tone and texture. It’s a non-surgical procedure that can be done quickly. WHAT EXACTLY CAN IT TREAT? Hyperpigmentation, among other skin conditions. This treatment is safe and typically has no severe side effects or downtime, meaning it may be something that can help you. If you are worried that your skin may be too sensitive for it, talk to your dermatologists, Dr. Karen Herman and Dr. Peter Herman, and ask for their recommendation. 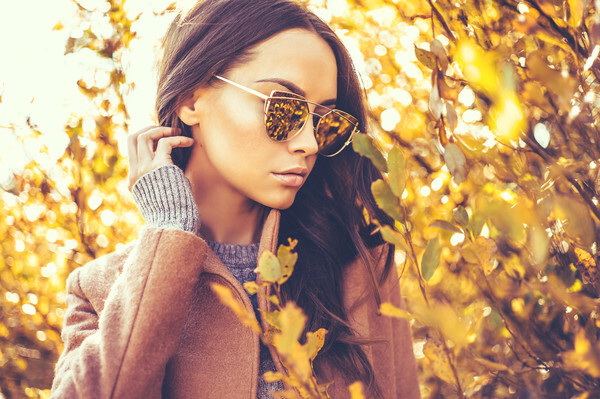 At Dermatology & Aesthetic Center of El Paso, we offer the Fotofacial RF IPL Treatment, so you can obtain the glowing, youthful skin you desire. Call today to schedule an appointment! fter having one or multiple children, your home and heart might feel full. However, your body has been through significant change, physically and emotionally. After all the sacrifice you go through for your beautiful children, as rewarding as that can me, you may feel less than fabulous about your looks. You are, after all, a pro at managing your home, appointments, sports practices, possibly working one or more jobs, kissing boo-boos, cooking comfort food, and all that comes with being a momma. According to Salary.com, stay at home moms should have made about $115,000 for their work in 2014! Alas, at the end of the day, we know all too well that being a mother can be a thankless job. When we sit alone in the quiet kitchen after everyone is asleep and the last dish is washed, the last stray sock thrown in the basket, we may feel depleted. We don’t always feel like the super moms that we are, and this can lead to valid concerns. If the value of our abilities could shine through our outward appearance, we might have a lot more happy mommies walking around instead of “mombies”. At Dermatology & Aesthetic Centers of El Paso and Rejuvené MD, we believe that mothers should care for themselves too and we offer some winning combination treatments customized to meet the specific needs of women. At our practice, we provide the “Mommy Makeover” using non-invasive modalities to treat common functional and aesthetic female health concerns. When was the last time you went to a job interview? Did you buy a new outfit? Curl or straighten your hair? You wanted to look your best so that your confidence could shine through that awesome pantsuit. We suggest you do the same for your mom life. Growing, feeding, and raising a baby with your body may have diminished your youthfulness. However, with the noninvasive mommy makeover, you can get a good dose of rejuvenation and gain back a bit of what you feel you may have lost. The great thing about dermatology is the fact that your physician uses technology and lasers to enhance the beauty you already possess, with expert knowledge of skin needs and reactions. There is no need to completely change or alter your body when all you need is a boost of youthfulness. Services are efficient and highly effective. There is no extensive recovery time or painful surgery to endure. Moms often frown about the extra flabbiness and cellulite that came with their babies. VelaShape III is a noninvasive body contouring procedure that uses bi-polar radio-frequency, infrared light, pulsed vacuum suction and mesotherapy to reduce the appearance of cellulite and produce smooth skin. The great thing about this tissue tightening procedure is that you’ll experience both immediate and gradual effects. The treated area will gradually start to feel smoother and the circumference will also reduce over the following ten weeks. VelaShape is actually the only non-invasive cellulite treatment device that is cleared by the FDA to safely and effectively contour and reduce cellulite. Most women get this treatment done on their abdomen, thighs, buttocks, and even arms and neck. While this is not a weight loss treatment, it certainly does help those stubborn spots that a healthy diet and exercise seem to neglect. Sessions normally last about 20-30 minutes and more advanced results are seen with multiple sessions. The second big complaint we see about the mom bod is losing vaginal tightness after giving birth to one or multiple children. The CO2RE Intima is a revolutionary laser treatment that offers relief, treatment, and freedom from the adversities that come along with childbirth and aging. According to Syneron-Candela, the makers of this cosmetic treatment, 100 percent of women who have had treatment done feel satisfied with the results. The CO2RE Intima is a wand-like laser that is inserted vaginally and slowly rotated to treat all areas of the vaginal canal. It restores tightness and relieves a wealth of conditions. The dermatologist can also use the laser on on the outer labia to restore laxity and symmetry. Dr. Karen is currently the only woman offering this treatment in the El Paso and Las Cruces area. It truly is a revolutionary cosmetic dermatology treatment that helps women regain confidence, self-esteem, sexual pleasure, and overall comfort and health. And of course, childbirth and aging seem to affect the face just as much as the rest of the body. During this pregnancy, some women experience “pregnancy mask,” which is dark blotches of skin around the eyes and cheeks. Overproduction of melanin in the body causes this problem. Pregnancy acne is, unfortunately, a thing too. These nine months seem to leave some women with permanent brown marks and acne scars. However, we have cosmetic dermatology solutions for these issues as well. Sublative Rejuvenation with eMatrix is a good treatment to address hyperpigmentation, scars, and other issues like wrinkles, fine lines, large pores, and uneven texture. This technology uses radio frequency electrical energy instead of laser energy. The energy makes a matrix of tiny injuries on the skin forcing a regeneration of collagen. This is what improves the skin from the inside out. 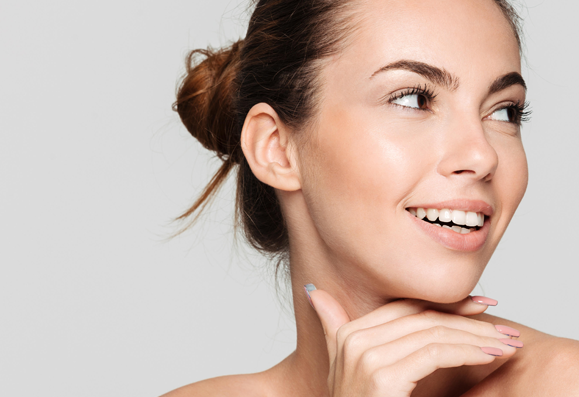 Microneedling is another revolutionary cosmetic treatment that has helped lots of women deal with acne scarring, uneven skin texture, and large pores. The dermatologist rolls a special tool with tiny needles over the skin to make tiny injuries as well. Once again, the skin regenerates collagen because of the microtrauma. Both of these procedures use the body’s own mechanisms to improve the quality of the skin. It truly is a process of rejuvenation. If you know you need a boost to your confidence, a mommy makeover can help. There are pain-free, non-invasive options to enhance the beauty you already possess. If you love your mom life, but your mom body has you feeling down, a mommy makeover might be the right fix for you. You are already fantastic at what you do, you should your best doing it. Have you heard the legend of the Fountain of Youth? Tales of this magical spring have been recounted across the world for thousands of years, but the legend became particularly popular in the 16th century. The legend goes that Ponce de León was searching for this spring when he traveled to what is now Florida in 1513. To his great sadness, he never found it. Fortunately for us, however, technology has helped us create a beauty procedure that keeps our skin looking as young as we feel. Botox is a “cosmetic Fountain of Youth”, and it has become increasingly popular over the last couple of decades. Hundreds of thousands of women and men pay a visit to their dermatologist to get Botox Cosmetic each year, and it is now a billion dollar industry. If you have ever been curious about Botox but haven’t yet taken advantage of this effective aesthetic treatment, here are a few helpful tidbits of information! First things first – what exactly is Botox? While it is commonly misunderstood to be a filler, Botox is actually a muscle and wrinkle relaxer. 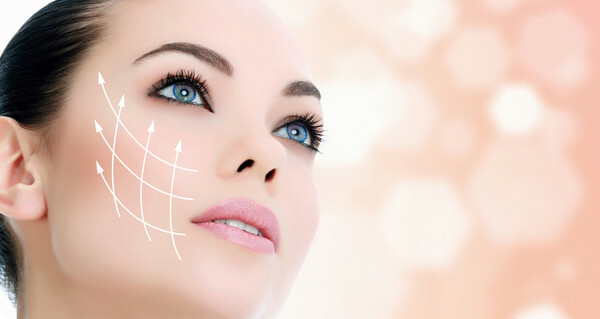 While dermal fillers are used to plump static wrinkle lines or contour the face, Botox is used to block the nerve impulses that cause activity and create dynamic lines. Contrary to popular belief, Botox does not completely freeze the face. The injection simply slows does the motion in the face that creates creases. While the injection will wear off after roughly three to four months, even one injection can have dramatic results on frown lines. Many patients have noted that Botox helped them to rid themselves of bad frowning habits that could cause creases in the future. The frown area is currently the most popular area to get botox injections. Depending on an individual patient’s needs, this cosmetic treatment can be used for prevention, relaxation, or rejuvenation. It prevents the development of wrinkles, relaxes facial muscles, and can even provide a lift to the eyes and corners of the mouth to make patients look more rested. 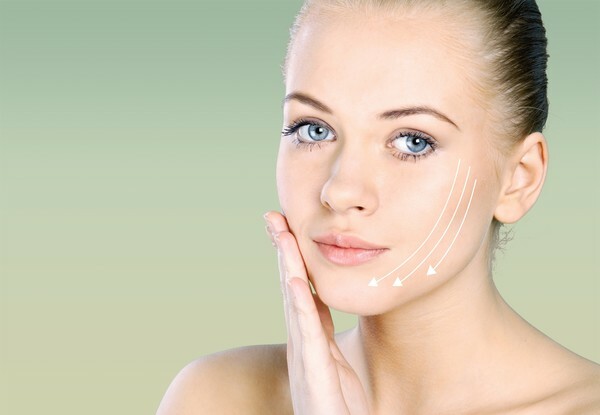 Botox can be used for several other purposes beyond anti-aging, however. In addition to being used as an anti-aging treatment, it can be used to stop excessive underarm sweating and to improve temporomandibular joint syndrome (TMJ). Migraines, bladder spasms, cerebral palsy, and muscle spasms have all been treated by this wide-ranging injection. It is also being studied as a potential acne treatment, but there is still much more to be developed in that arena. Have you ever wondered why the beauty routine that works for your best friend doesn’t seem to work for you? Or why there are so many beauty regimens that claim they are the “number one way” to get radiant skin? It seems like we can barely get through a bottle of one product before a hot new method steals our attention (and more of our hard earned cash). Why can’t there just be one beauty regimen that works for everyone instead of seemingly endless options? The fact of the matter is that we are all incredibly unique, and an experienced dermatologist treats every patient with individualized care to determine the best beauty regimen for them. Even so, there are some general tips for glowing skin that dermatologists tend to agree on. Here are a few habits that people of all skin types can incorporate into their beauty routines. Sunscreen is vital. We can’t stress this point enough! 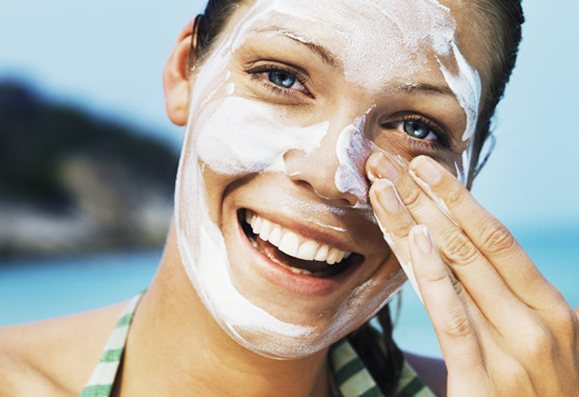 To protect your skin from harmful UV rays, you should apply a moisturizer with sunscreen of SPF 30 or higher. For extra protection, apply an antioxidant serum onto your skin before layering on sunscreen. Hats are also helpful to protect your skin from the sun. Does chocolate cause acne? The experts say no. This myth, along with other diet-skin misnomers – has been pretty much busted. But that does not mean that the diet has no role to play in healthy skin. By replacing sugar and processed foods with lean protein, greens, and healthy fats, your complexion will likely improve as much as your energy levels! The oxygenating properties in greens are especially effective when it comes to glowing skin, and protein can help improve skin cell turnover. We know you have heard it before, but picking at your pimples can be devastating for your skin. Experts recommend that you steer clear of magnifying mirrors to ensure that you aren’t tempted to start picking away. Rather than picking, try using a good spot treatment with salicylic acid. Your dermatologist can help prescribe other acne skin care methods as well. When you ice sore muscles, inflammation and swelling are reduced. Icing can work the same way with your skin. This simple and free beauty treatment consists of taking an ice cube out of the freezer and gently rubbing it over the surface of your skin. Make sure that the ice is not too cold, and don’t hold it over one part of your face. By keeping it moving, you will prevent any type of ice burn. Because your vessels constrict with the cold temperature, we see a reduction in swelling and redness to your skin. There are several other general tips we can mention, but you will have to experiment to discover what works for you. A dermatologist can help you develop a consistent routine that is individualized, and he or she can also recommend professional dermatology treatments. If you want radiant skin, the experts at the Dermatology and Aesthetic Center of El Paso can help you find a rhythm to get there. Dr. Karen and Dr. Peter Herman have done a significant amount of research to obtain products at their clinics that are medical and pharmaceutical grade effective for specific skin conditions, ranging from acne and rosacea to oily to dry, preventative to therapeutic skincare cosmeceuticals. The ingredients in them are possibly similar to what you can purchase at the store or retail online, but they have a stronger concentration of active ingredients to make them more effective. They can comprise a skincare cocktail with your signature. Have you noticed more hair than usual in your hairbrush? Has your shower drain been excessively clogged up with excess hair? Have you noticed the part in your hair getting slightly wider? If you answered “yes” to these questions, you might be wondering if you are experiencing early or excessive hair loss. Hair loss is frustrating, and it is made even more frustrating when we don’t know what is causing it, how much hair loss is normal, or what hair restoration methods actually work. A typical scalp has roughly 120,000-150,000 strands of hair, and a healthy person only sheds about 50 to 100 strands of hair each day. If you think you are shedding much more than that, it may be time to consult with a dermatologist. At the Dermatology and Aesthetic Center in El Paso, we take a holistic approach to hair restoration by treating the source – not just the aesthetic symptoms – of hair loss. While hair restoration may require medicinal treatments, experts recommend that people who suffer from excessive hair loss make dietary changes. Before you stress out about the prospect of having to go another gluten-free, paleo, vegan diet, relax! We are not talking about foods you need to take out of your diet for healthier hair. We are talking about foods you should put into your diet! Did you know your hair and nails are mostly composed of protein fibers? Because of this, a diet rich in protein is important for healthy hair. Many people do not get enough protein in their diet, but nutritional experts assert that we should aim to have a protein source on our plate at every meal. Lean meat, eggs, greek yogurt, and even vegan protein powder are great sources. Choose sources that work for your budget and lifestyle! What do milk, orange juice, and mushrooms have in common, you wonder? They are all excellent sources of vitamin D, an important vitamin for overall health. Early studies suggest that vitamin D plays a positive role in healthy hair production, but too much exposure to the sun can wreak havoc on our skin. Getting vitamin D in fortified sources like milk and orange juice, or from natural sources like mushrooms is a great way to augment your overall health and increase your chances of having a healthy head of hair. According to representatives from the Academy of Nutrition and Dietetics, people who don’t get enough iron in their diet are at a high risk for premature hair loss. Many sources of protein, such as red meat, contain high amounts of iron, but you can also find iron in spinach, pumpkin seeds, and lentils. To ensure you absorb the iron you consume, try pairing it with some vitamin C. This vitamin is known to improve iron absorption, and the combination of the two will be beneficial for hair growth. Hair Restoration with a Dermatologist: If your hair loss came on suddenly, it is important to consult with a doctor or dermatologist. Sudden hair loss may be the result of illness or fungal infections, and they should not go untreated. If you have been experiencing steady hair loss and are ready to take proactive steps toward hair restoration, a dermatologist can help you diagnose the root of your issues and offer treatment protocol. 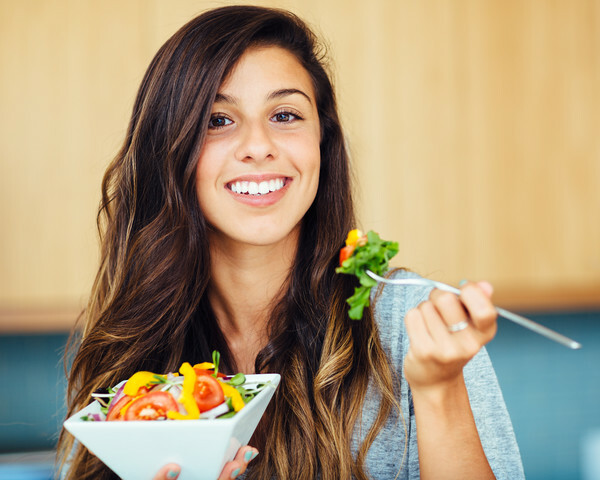 Diet is a very important step in hair restoration, but it is just one step. Dr. Karen and Dr. Peter Herman will do a thorough clinical and possibly laboratory evaluation, discuss with you prescriptive and non-prescriptive options of treatment, and review with you the option of PRP (Platelet Rich Plasma) injections for hair restoration. Find out more by contacting our office today!